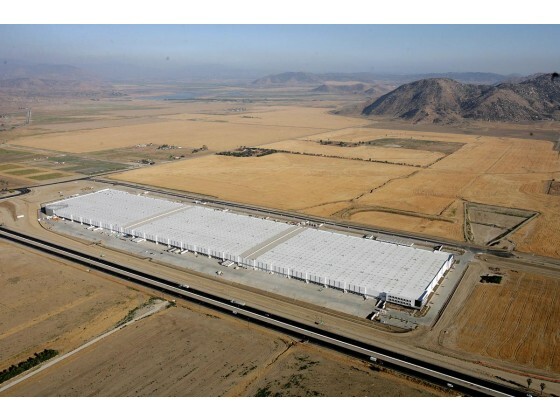 MORENO VALLEY, Calif.— An appeals court has dealt another major blow to a plan to build the largest warehouse complex in California. Environmental-justice and conservation groups yesterday won a California appellate court lawsuit against the Moreno Valley City Council’s approval of an initiative meant to shield the massive project from environmental challenge. The World Logistics Center is a 40-million-square-foot warehouse project that would add 14,000 truck trips to town roads every day, worsen already-poor air quality and harm birds and other wildlife in the nearby San Jacinto Wildlife Area. In a separate ruling in June, a Superior Court judge found the environmental review process for the warehouse inadequate. Environmental review of the warehouse project was completed by the city in August 2015 and was immediately challenged under the California Environmental Quality Act. In response the developer, Highland Fairview, submitted three initiatives to the city council to convert the city’s project approvals into entitlements for the project. The council adopted the initiatives in November 2015 instead of allowing a vote by local residents. The new appellate court ruling reverses a lower court ruling approving the initiatives adopted by the Moreno Valley City Council. “We’re glad the appellate court ruling will help protect the right of the people of Moreno Valley and the surrounding communities to breathe clean air,” said Joe Lyou, president of the Coalition for Clean Air. About the size of 700 football fields, the World Logistics Center is expected to generate 400,000 metric tons of greenhouse gas emissions annually. The trucks going to and from the facility would be transporting goods more than 80 miles from the ports of Los Angeles and Long Beach to Moreno Valley, often on already-congested two-lane roads. Despite recognizing the project’s contributions to worsening air quality, increased traffic congestion and climate change, the city required only meager steps to reduce those harms. The World Logistics Center is also adjacent to the San Jacinto Wildlife Area, which is home to many threatened and endangered animals and plants. Those include the Los Angeles pocket mouse, California golden eagle, burrowing owl, tricolored blackbird and such endangered plants as the San Jacinto crownscale. The project area itself is one of the best raptor habitats in the state. “Birds have already been negatively affected by the glare from the existing warehouses in Moreno Valley. The WLC will increase that impact to another order of magnitude,” said Drew Feldmann, conservation chair of the San Bernardino Valley Audubon Society. The Center for Community Action and Environmental Justice, the Center for Biological Diversity, Sierra Club, San Bernardino Valley Audubon Society and Coalition for Clean Air are represented by Earthjustice. Shute, Mihaly & Weinberger also represented Sierra Club in the appeal. This entry was posted in Clean Air, Clean Cars, Climate Equity. Bookmark the permalink. California Air Quality Awards Honoree Vic La Rosa/TTSI, Inc.
How To Transport Your Car Internationally | Car Reviews & News 2018 2019 on The Beginning of the End for Gasoline Cars? Copyright 2019 © CCA. Powered by Solid Web Works, Inc.